This Summer Sara will be supporting & taking part in the following events! Sunday11th May - In aid of Cash For Kids, The Garden of Eden Wedding Exhibition, over 30 exhibitors, café on the day & BEAUTIFUL location! Only £2 per ticket & all proceeds go to the charity! 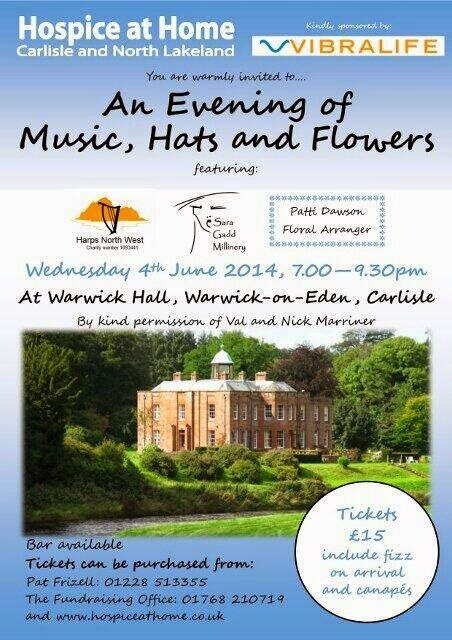 An Evening of Music, Hats and Flowers at Warwick Hall on June 4th. A beautiful venue & a worthy cause. 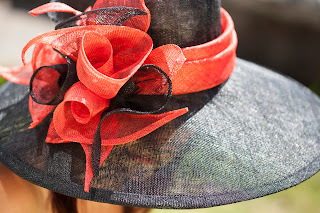 Racing, fashion, hats & good food! The sun is shining today as I type, yesterday was a snowy, blustery kind of a day! The weather's acting rather strange of late but the morning sun shine reassures me that Spring is just around the corner! With that in mind it's the perfect time for turning thoughts to the seasons coming weddings and what to wear! 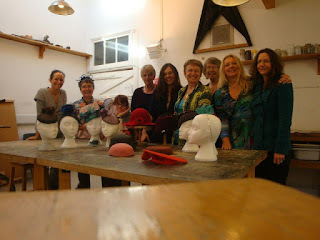 When ever clients visit my studio looking for headwear, I encourage ladies to try on as many styles as possible to get to know what suits then and in turn style that aren't so complimentary! There is a right hat for everyone and when you find it you should feel and look confidently wonderful in your chosen creation! The same can be said for choosing your entire outfit and to help you on your way Phase Eight have some wonderful wedding outfits to choose from! I find their website is easy to follow and what's more they are currently running a wonderful competition where you can style your own wedding outfit! It's great fun, all you do is choose your desired wedding outfit to be in with a chance of winning a £250 voucher! Here is my chosen outfit. And the reason I have chosen this particular look? I simply love the bold colour combinations and attractive print in this dress; there are so many accent colours that could be picked out for your accessories. I have opted for the vivid, fresh green tones that lift the over all look and black to balance and compliment the stronger black at the bottom of the dress! This outfit would be the perfect way to brighten the day come rain or shine! To have you go at playing stylist and for all things 'Hattie' visit www.saragadd.co.uk! Sara Gadd Millinery 1/3rd off Selected Sample Hat Sale Now On! To make room for new designs we have launched our first selected sample sale! For a limited time only we have a number of hats from our sample collections on sale. 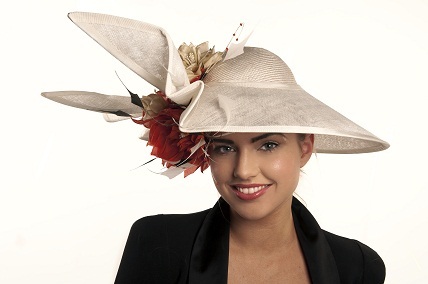 Although samples, all of the hats are in perfect, un worn condition ... don't miss out on these fabulous offers! 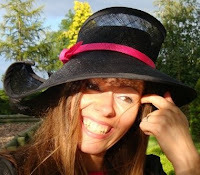 http://saragaddmillinery.bigcartel.com/at these hats will be changed throughout the sale period to feature the full sale range available through this store. Or the hats can be purchased directly through Sara from the studio in Corby Hill, Carlisle, Cumbria, or via email. For a full list of the sale items please email Sara at info@saragadd.co.uk or visit our Facebook page via the link to the right. Here are some of this week's offers! The winner of our 2013 New Year Competition through our Facbook Page as featured in the last blog post was Eileen Lumb from Suffolk, congratulations Eileen! The beautiful 'Poppy Cocktail' headdress is on it's way to you, hope you'll love wearing it! Until next time, good luck grabbing the bargains! 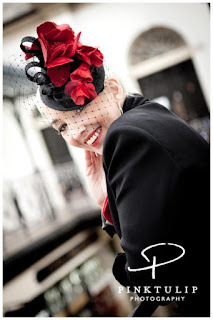 Sara Gadd Millinery seasonal events and promotions! It’s hard for me to believe but Christmas is almost just around the corner! 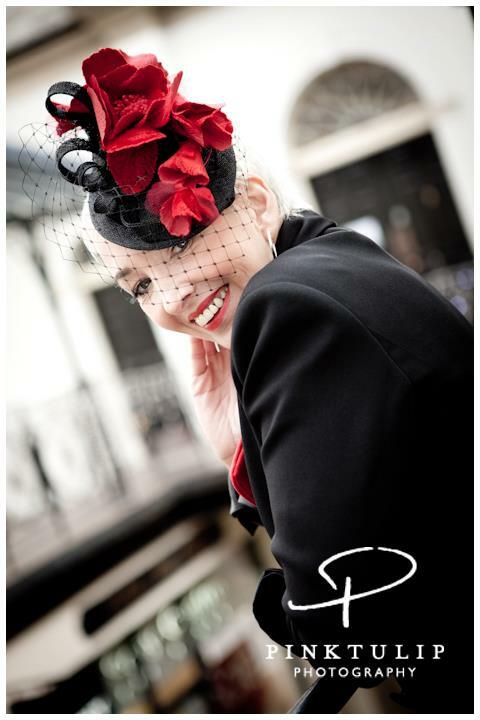 At Sara Gadd Millinery this year’s busy wedding season has calmed down and we are looking to the Autumn, Winter & the festive season. Fancy a fun day out with a few of the girls? - We have several key dates for day workshops at the studio, which will be available to book over the next twelve months. Starting from Saturday 1st December 2012, for which there are still four places available, and you can also choose you own dates if you prefer, with weekdays also available. Gift Vouchers - the perfect gift for a special friend! Did you know gift vouchers are available in £20, £40, £60. They can be used towards any creation from Sara Gadd Millinery or towards a workshop of your choice at the studio! 7th November from 2pm - 8pm. There’ll be a variety of stalls with local crafts, businesses and fresh tea, coffee and bakes to keep you going! Thursday 22nd November from 3pm - 7pm. Refreshments will be available and a wonderful array of local businesses selling their goods. A real treat and festive day with a real fire, mulled wine, festive stalls and Santa will be making an appearance. This event is well worth a visit as it also coincides with Carlisle City Centres festive market stalls, so come along to find some great gifts and for a truly seasonal day out! Looking ahead to 2013... We will be launching a wonderful new bridal collection which will be available from Spring 2013, we will post further details about this soon! Next year will also be busy, with two family friends getting married in the Summer and Sara’s own wedding taking place on 7th September!! 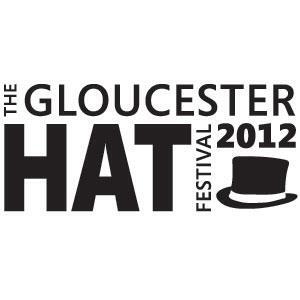 The count down is on for a wonderfully Hattie 2013! 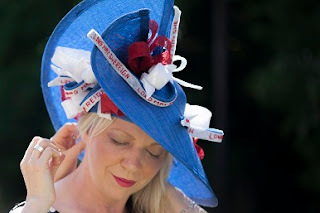 Hats - Proud to be part of this great British tradition! Following this weekends wonderful Diamond Jubilee celebrations, at which I must say the Queen looked amazing! The UK seems to be embracing what it means to be British. Hats of course are a great British tradition and go hand in hand with the British monarchy. I thought there were some wonderful creations on display during the weekend and I simply loved the Duchess of Cambridge's vibrant red outfit! With this in mind I am proud to be a part of this traditional British craft! To work as a hatter is both challenging and rewarding. 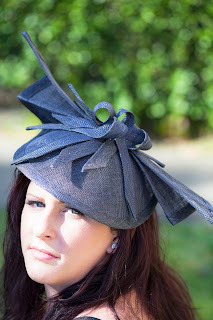 It's been a busy month at Sara Gadd Millinery and hats have been flying off their blocks! 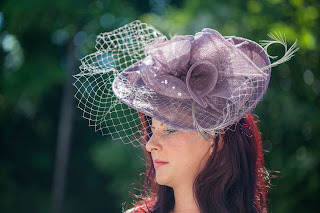 I love this time of year when there is many a Hatty occasion and weddings are of course in full swing. 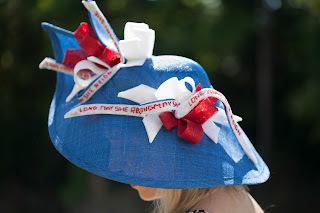 With the Jubilee in mind, last month I took part in the Talent House Dillon Wallwork and Hatalk competition to design a hat inspired by the Diamond Jubilee. This was my creation "Jubilation" which was inspired by the UK flag. Although the hat didn't win, I was thrilled to see "Jubilation" was well received and constantly remained in the top 15 throughout the voting period! Thank you for your support and kind comments! 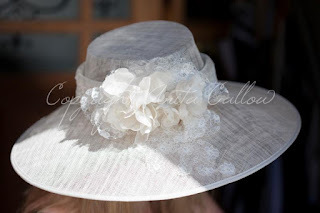 Sara Gadd Millinery has been out and about and recently during a beautiful weekend, when the sun was shining gloriously, Sara travelled to Whitehaven, the pretty little port town on the west coast of Cumbria. Here she teamed up with Anita Collow Photographer and Laura Wilkins MUA for an out door photo shoot. Having met a couple of months earlier at a wedding fair in Carlisle, it was suggested the three meet for a collaborative shoot and here are a few of the results! 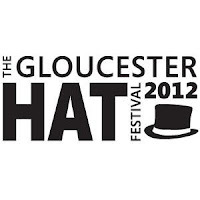 So bye for now and for all things hatty contact Sara at info@saragadd.co.uk and visit our FaceBook Page! Summer is just around the corner and although the weather hasn’t been to good so far this year, seasonal events and occasion are none the less getting into full swing! With ladies day events throughout the season and Royal Ascot fast approaching, in this diamond Jubilee year, it’s the perfect excuse to make an extra special effort with your headwear! To help you choose the perfect hat or headpiece that will finish your look with style, here are some helpful tips to and ideas to consider! When choosing your outfit remember to dress for a formal day time occasion and not an evening party. Full hats and larger headpieces are perfect for race meetings whilst fascinators too can look wonderful worn to a wedding. 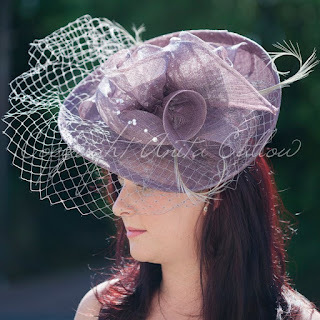 Try on as many different styles of hats as you can, this will help you find the right hat shape for you. A hat should compliment the wearer not over power the look, the right hat should accentuate your features making you feel confident and happy to stand out from the crowd! Detailed outfits work well with simple shapes and styles, try teaming a floral dress with a simple yet striking floral headdress. A plainer, less detailed outfit can take a more elaborate hat. For classic timeless style, team a smart suit with a sharp elegant hat. Add a twist to your look by choosing a contrasting coloured hat or choose a complimenting colour that draws upon details within the style as the trim. 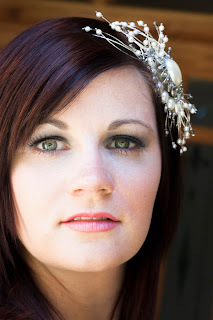 When wearing a hat, exaggerate the eyes wearing slightly more eye make up than usual. Remember you should wear your hat, your hat should not wear you! It’s all about balance and complimenting your overall look. 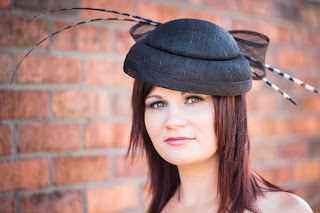 Hats provide the finishing touch to your outfit, wear yours with style! And finally …. Ladies day is the perfect excuse to get dressed up in your finery and to enjoy with family and friends!